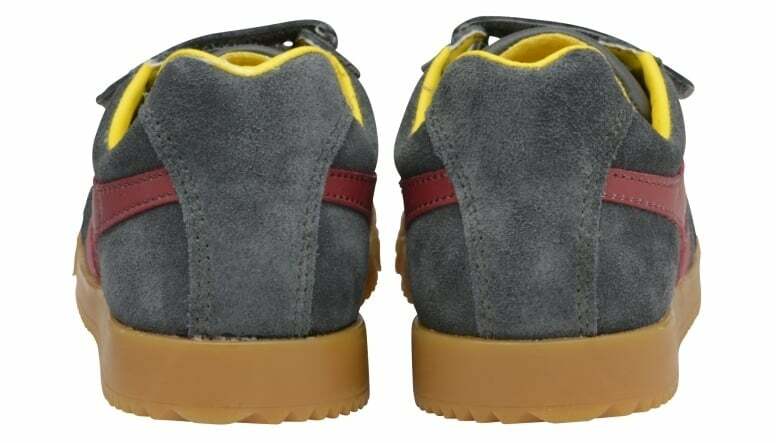 Gola kids’ Harrier Velcro is a welcome addition to the new season collection. 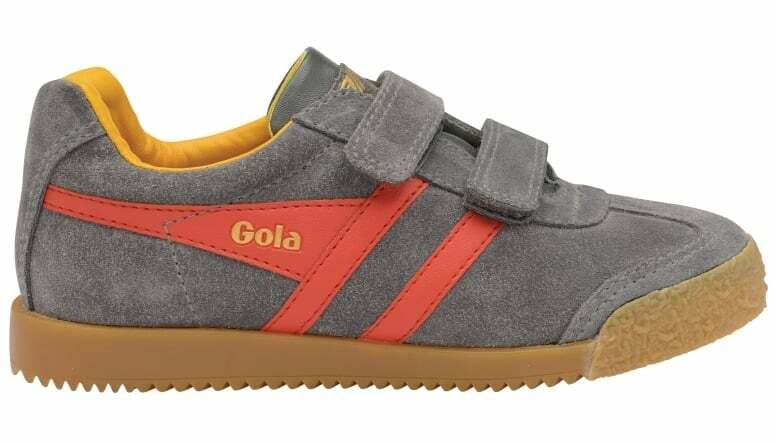 Gola Harrier was originally created in 1968 and was suitable for a variety of sports and general training. 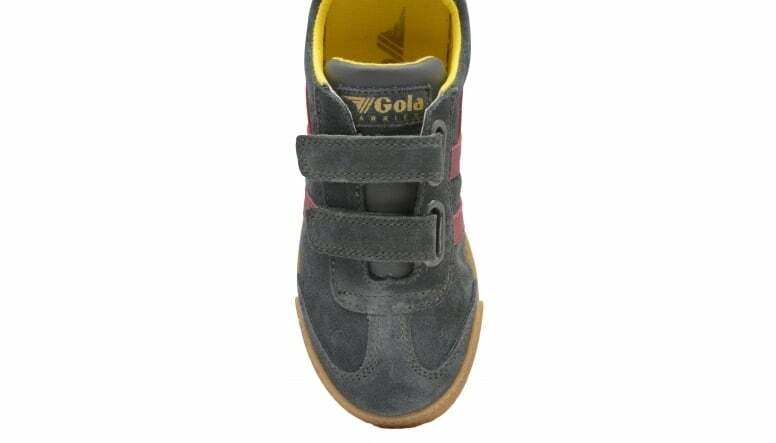 Gola kids’ Harrier Velcro features a suede upper and a contrast colour wingflash and lining, making this a fun vintage footwear option for little ones. 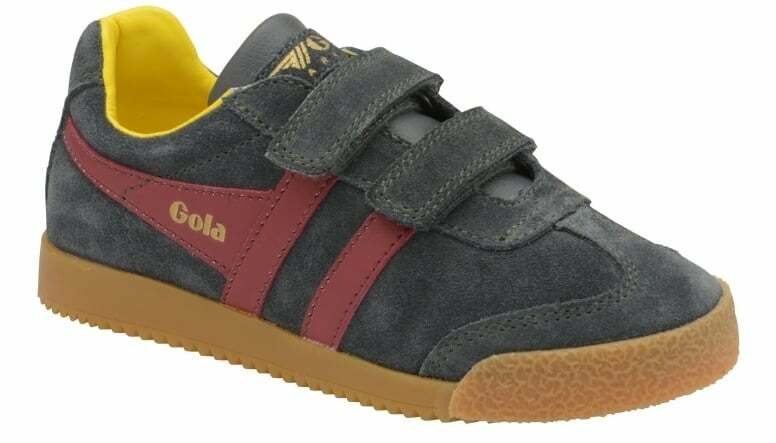 Other features include a gum sole unit, Velcro fastening detail and the iconic Gola branding.